This inspiring 38-minute documentary portrait tells the unexpected story of teacher/author Larry Rosenberg, one of the handful of people fundamentally responsible for having brought meditation to widespread awareness and practice in American society. 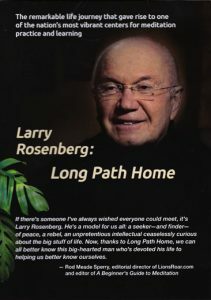 With exquisite penetration and humor, Larry at 83 years of age describes his remarkable long-term quest for self-discovery that eventually gave rise to the Cambridge Insight Meditation Center, one of the nation’s most vibrant non-residential communities for meditation learning and practice. In recent years his teaching and books have inspired devoted practitioners to establish new meditation learning centers beyond Cambridge. 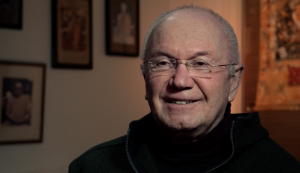 This intimate profile captures the warm-hearted dynamic personality that has made Larry such a beloved instructor – while at the same time presenting the very core of his Buddhist teachings. 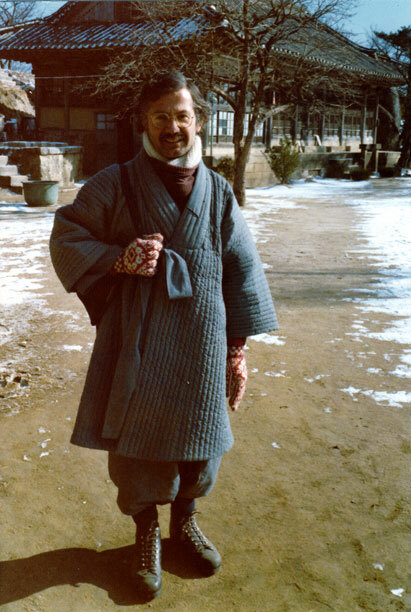 As we witness his skillful vipassana instruction in action, Larry reflects on the more than four decades he has been teaching the Buddha’s concepts about suffering and the end of suffering, helping countless people on their individual paths to self-discovery and liberation.